Driving the Akamina Parkway in Waterton Lakes National Park, enroute to scenic Cameron Lake, is a pristine waterfall. 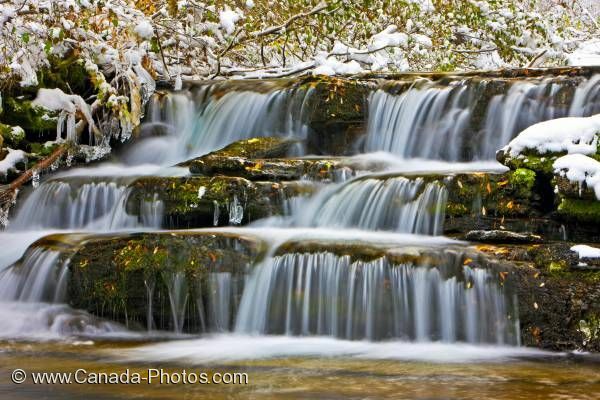 On this particular day, the waterfall was surrounded by snow and ice after the first snowfall of winter. Snow and ice fringed waterfall along the Akamina Parkway in Waterton Lakes National Park (a UNESCO World Heritage Site & Biosphere Reserve), Alberta, Canada.